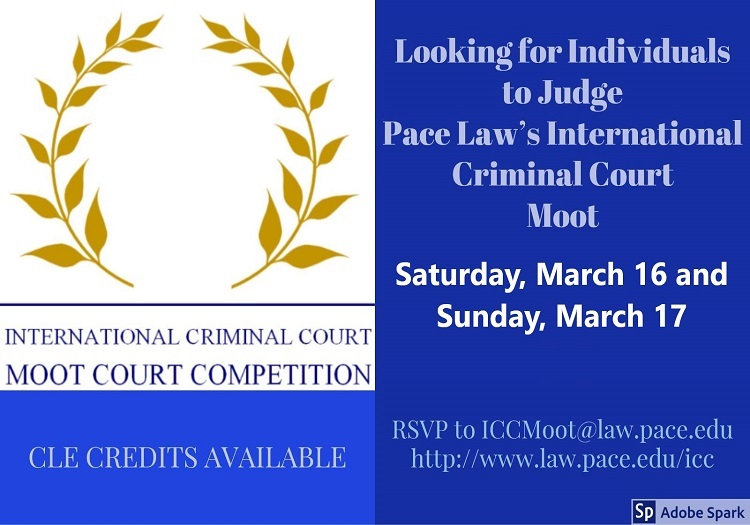 Help Judge the ICC Moot! CLE credits available. Contact ICCMoot@law.pace.edu to RSVP and click here for additional information.